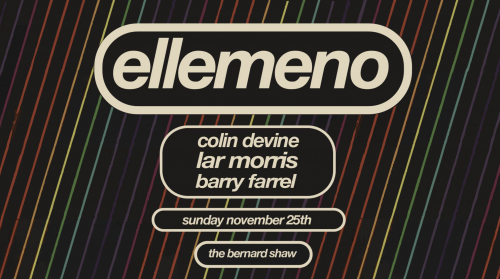 Ellemeno brings it’s radio show to the The Bernard Shaw for an all day party starting at 6pm. Colin Devine is joined by Lar Morris & Barry Farrel on the decks. Like the radio show on Dublin Digital Radio – ddr. expect to hear all sorts of music from around the world. Ellemeno is an opportunity to pull out your more obscure records.